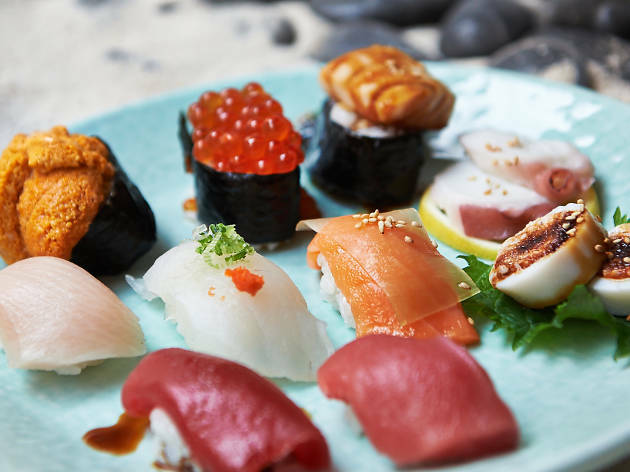 New York has no shortage of great Japanese food options, from some of the countrys best ramen to gorgeous kaiseki spreads to, of course, the best sushi in NYC. 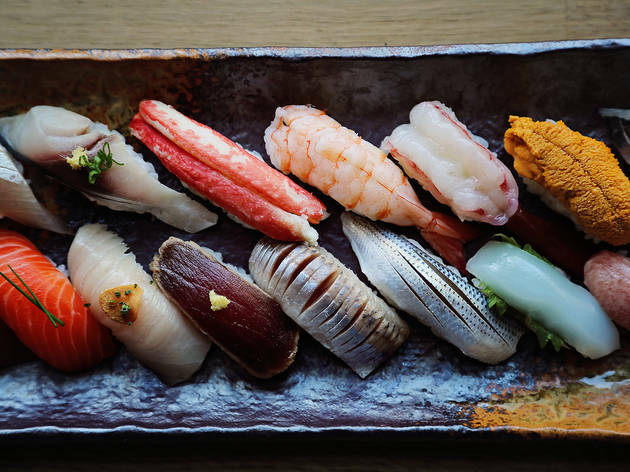 We've whittled down our picked of New Yorks top sushi experiences, from no-nonsense sashimi spots and to toro-stocked fine dining restaurants helmed by Michelin-starred toques. 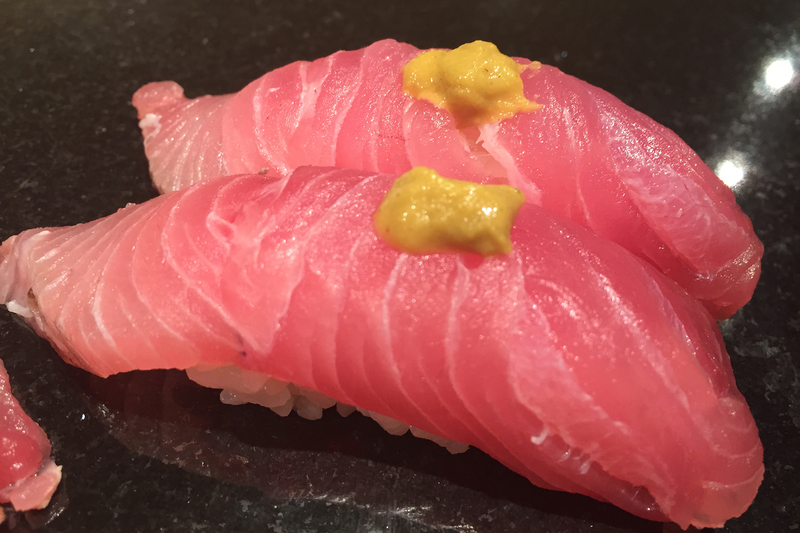 This is the best sushi NYC has to offer. 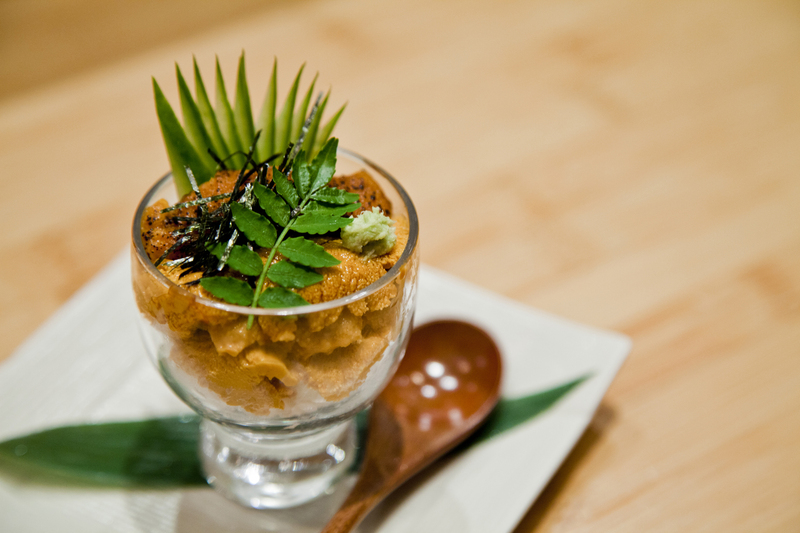 Masatoshi “Gari” Sugio made waves when he debuted this minichain in 1997, becoming a New York pioneer in avant-garde pairings, such as jalapeño-topped yellowtail and Japanese red snapper with wilted greens, pine nuts and crispy lotus root. 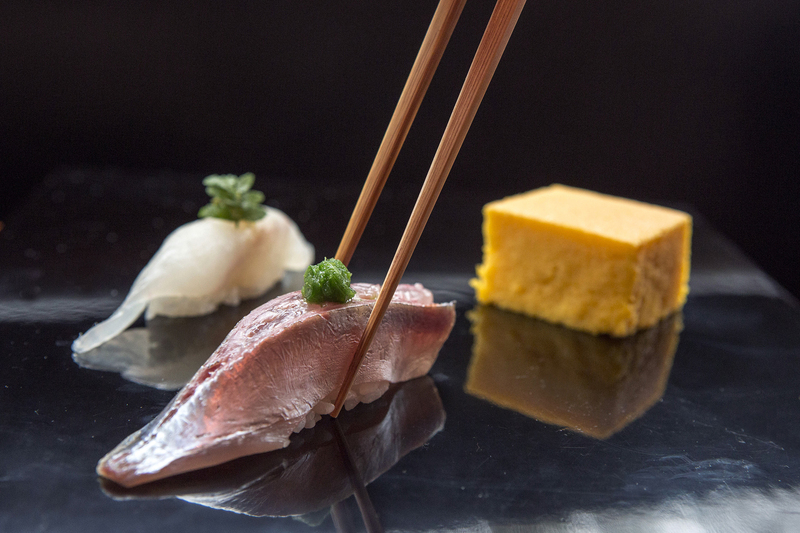 Sugio’s fanciful creations continue to draw thrill-seeking Japanophiles to his tony Upper East Side flagship, where they shell out a hefty sum for a pay-per-piece spot at the L-shaped bar. 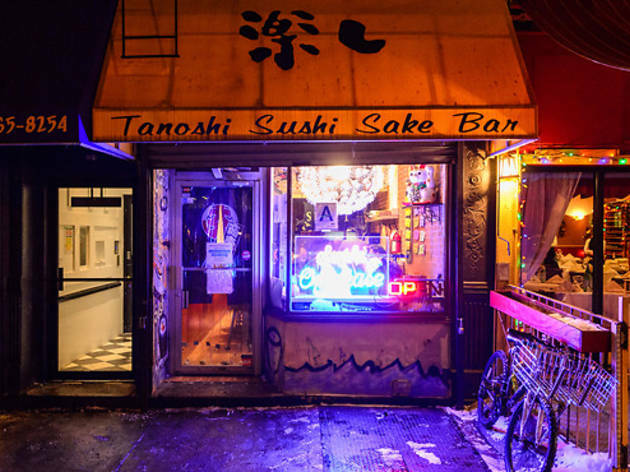 After shuttering for three months, the rave-reviewed Lower East Side sushi counter reemerges, with chef John Daley buying out his business partner to assume majority ownership of the 10-seat operation. 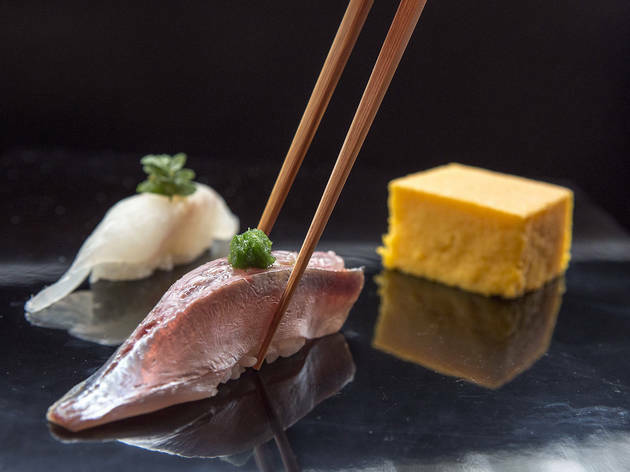 In this simplified iteration, the three-tier-priced dinner service is stripped down to just one omakase featuring seafood sourced from Japan’s famed Tsukiji and Fukuoka fish markets. 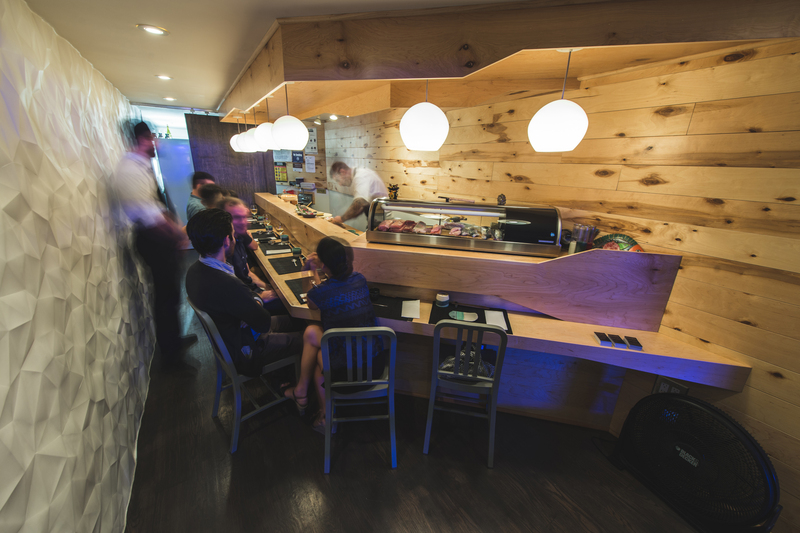 Score a place in one of the three omakase-only seatings and you'll be dining on nigiri turned out by a Morimoto alum. 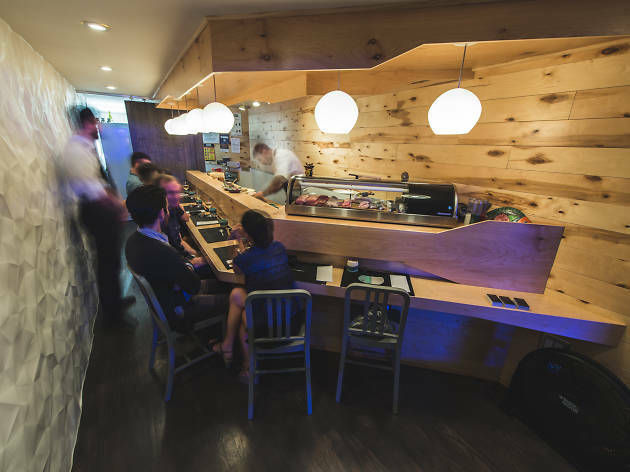 They're not as dainty and refined as the ones at other premium fish houses, but Toshio Oguma isn't serving run-of-the-mill California rolls, either. The quality will please purists, even if the Adele and J-pop soundtrack won't. New Yorkers looking for an intimate alternative to hush-hush sushi dens should sit in on these nightly dinner parties. 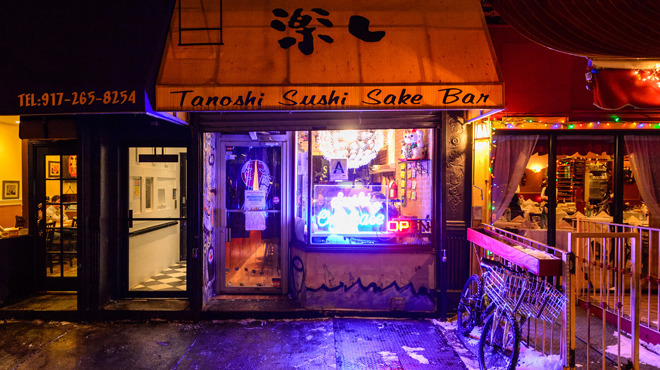 Dapper power couple Jack and Grace Lamb brought a bit of Tokyo cool to the East Village when they opened this intimate sushi-ya—hidden behind a heavy black door—in 2001. 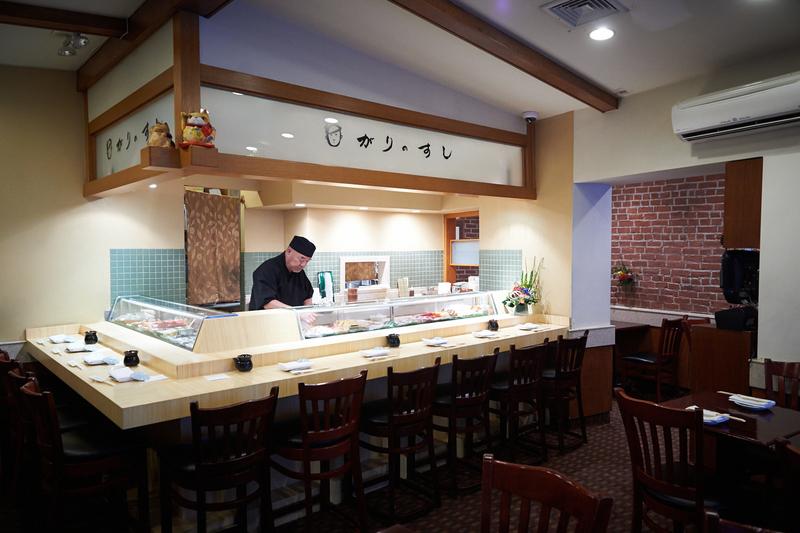 Now a neighborhood favorite, Jewel Bako maintains its downtown cred with buzzy young crowds and a stylish bamboo-tunnel dining room. 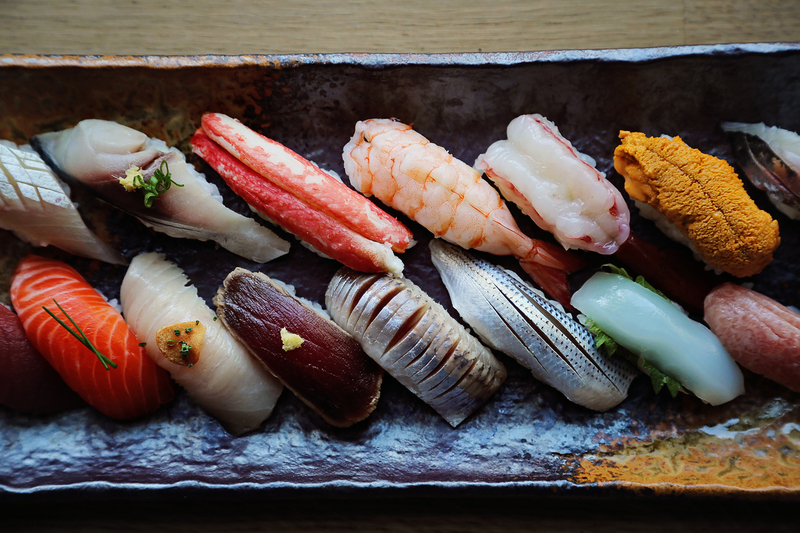 In the back, the sushi omakase gets you a dozen of sushi maestro Yoshi Kousaka’s raw-fish marvels. 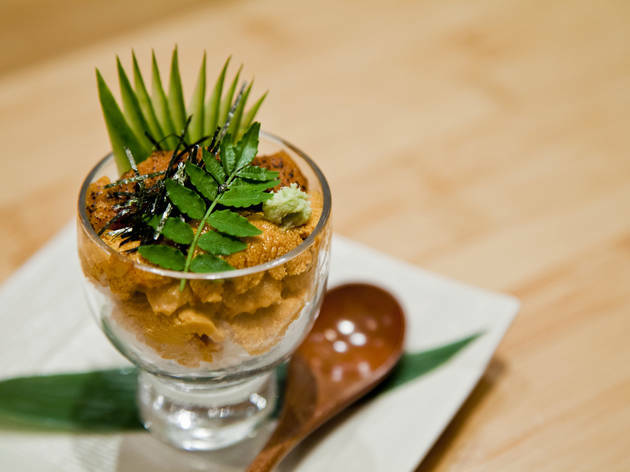 Following a 17-year stint at Nobu, chef Toshio Tomita went solo with a tasting-menu-only restaurant in the former Kajitsu space. 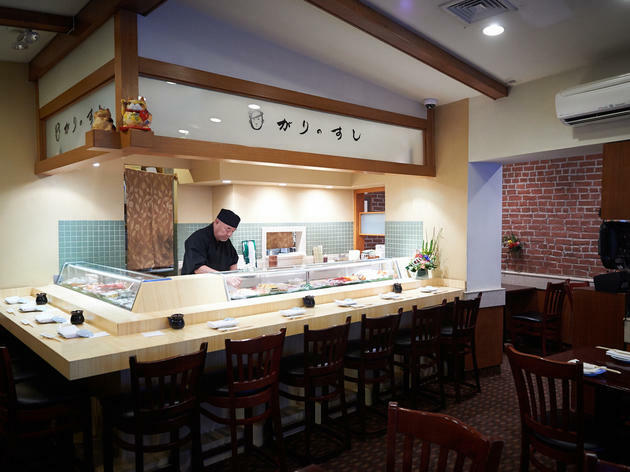 Omakase options include a sushi menu of 15 pieces or a seven-course chef’s tasting, highlighting seasonal ingredients in dishes like house-made soba noodles, kappa-style appetizers and hot dishes, alongside sushi and sashimi made using fish flown in overnight from Japan. Don’t let the throngs of college coeds and easy-on-the-wallet prices fool you: This ain’t no sketchy all-you-can-eat sushi joint. 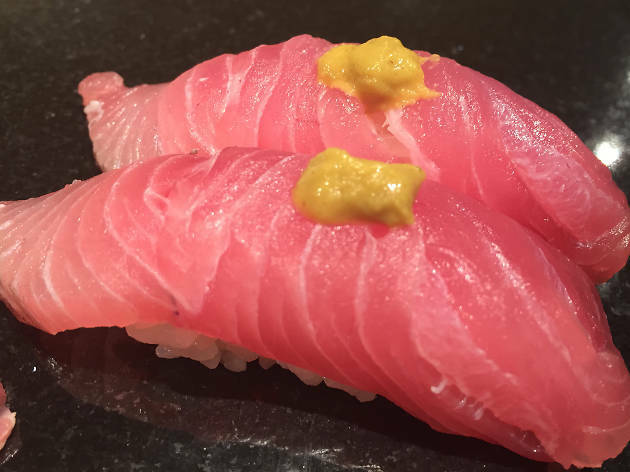 The corner East Village eatery turns out top-notch nigiri that stands toe-to-toe with some of its pricier counterparts. Do yourself a favor and get a seat at the well-lit walnut bar in the quieter back room so that you can bliss out on your meal in peace. 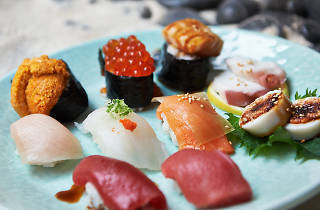 Feast on amazing, innovative sushi and sashimi, matched with top-shelf sake at the best sushi restaurants in the U.S.